A Critique of The Independent Weekly’s Pizza Review – Voila! Allow me to let off some steam. 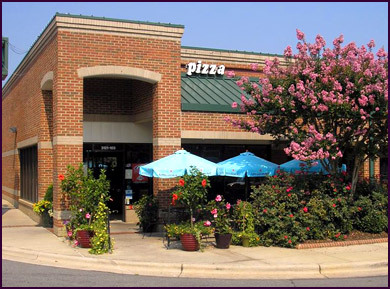 The Independent Weekly, recently rated and graded several pizza joints in Durham, Raleigh, Chapel Hill, Carrboro, Pittsboro and Cary. I like the Indy and read it almost every week. They’re a great source of information on politics, food, music, and life in the Triangle region. So I don’t want to get all saucy, but their rankings were more surprising than a Chicago-style pizza without cheese. I’d like to respond to a few of their ratings that left me with a bad taste. Note that my reactions are limited to the ones I’ve eaten at. Bella Monica: (Indy Score: 5.5 – Voila: Disagree) I have been going to Bella Monica for 10+ years and only once in all that time have I had a bad culinary experience there. Next time try their gluten-free garlic bread and/or the Bella. Klausie’s: (Indy Score: 8 – Voila: Agree) I actually agree with this one. I like Klausie’s. Moonlight: (Indy Score: 7.8 – Voila: Somewhat disagree) Their basics are fine, but the reviews gives too much praise for simply offering a variety of toppings. Capital Creations: (Indy Score: 5.1 – Voila: Disagree) Yes the pizza might be a little pricey, but my family has ordered from them for years and the Wintergarten and Pesky Chicken never disappoint. Enzo’s: (Indy Score: 8.4 – Voila: Disagree!) How this beat any number of the places listed is beyond me. Two or three steps above Domino’s. That is all. Pie Pushers: (Indy Score: 7.4 – Voila: Agree) A sure crowd pleaser, I agree with this as well.